Unfortunately, car accidents are an every day occurrence. When you’re involved in a car accident that results in bodily injury, it can be scary and overwhelming. 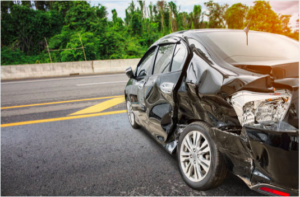 It’s important to remember that the steps you take following an accident can affect how your insurance company reimburses you if you file a claim. The list below will help you deal appropriately with your insurance company if you’ve been in a car accident that caused personal injury. See a doctor immediately after a personal injury car accident even if you feel fine or think your injuries are minor. Don’t make the mistake of not getting examined. It can take days for pain to appear after an accident. Seeking medical attention quickly can help you heal faster and it can strengthen your personal injury claim. 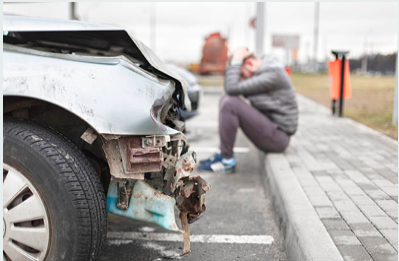 If you wait, it can be harder to prove your injuries are a result of the car accident. Look out for signs of pain, discomfort, dizziness, and numbness. All these symptoms could be related to a car crash and should be treated appropriately. To help you get fully reimbursed from your insurance company, you need detailed notes on your injuries and medical treatments. If you visit a doctor, chiropractor, physical therapist, or any other professional for injuries related to your accident, you need to write down their names and addresses. Save any correspondence such as emails or notes you record at appointments throughout your course of treatment, and keep receipts for any medications you were prescribed. Save your medical bills, receipts, and co-payments as well (prescriptions, medical devices, or equipment -crutches, walkers, canes, etc.). And don’t forget to keep track of your expenses if you have to travel for medical appointments and treatments as well. Strengthen your claim by writing information down about the accident. Take pictures of the location and include traffic signs and lights if necessary. 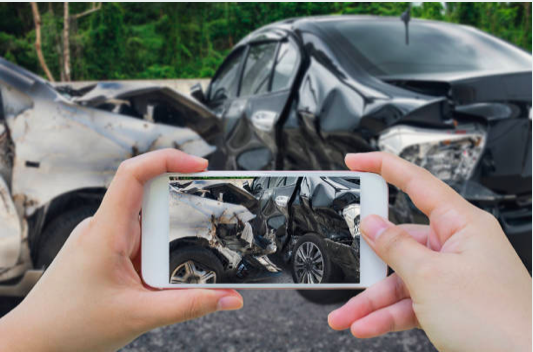 Make sure you take plenty of photos of your car’s damage from various angles. Write down the names and contact information of witnesses as well. Then, ask a family member or friend to take pictures of your injuries. These photos can be very valuable evidence if you decide to hire a personal injury attorney. You may feel inclined to apologize or admit fault at the scene of the accident. Do not assume responsibility. Doing so can jeopardize your claim. Even if you think you may be fully or partially responsible, do not say this to your passengers, witnesses, or your insurance company. Instead, get a police report and give a detailed and honest description of the accident. Then, let the insurance companies work out the details. Avoid settling before you’ve received all your medical treatments. Don’t settle your claim/case before your injuries are as healed as they are going to be. Otherwise, you won’t know the total cost of your injuries and could face ongoing, high medical costs. Also, make sure you don’t sign release forms or checks before you’re ready to settle your case. You don’t want to release your insurance company from paying additional claims. It can be overwhelming trying to navigate your injury claim while you are healing. You may want to consider hiring a personal injury lawyer to release you of the burden of dealing with insurance companies while you’re seeking treatment and recovering. An experienced personal injury lawyer can help you understand your rights and fight for you to receive the highest amount of compensation possible for your injury claim. If you’re in the greater Boston area and are in need of an experienced and dedicated car accident attorney, contact Attorney Kevin Broderick. He will help you receive the compensation you need and deserve for your injuries. Call the Broderick Law Firm, LLC now at (978) 459-3085, or click the big green button below to get in touch with someone right away. Are You a Victim of a Vehicle Accident? You probably have many questions about your vehicle accident. You may be questioning who is financially responsible for damages to your property or the costs of your injuries. Let Attorney Kevin Broderick answer your specific questions and evaluate your case for free today! The information you obtain on this site is not, nor is it intended to be, legal advice. You should consult an attorney for advice regarding your individual situation. We invite you to contact us and welcome your calls, letters, and electronic mail. Contacting us does not create an attorney-client relationship. Please do not send any confidential information to us until such time as an attorney-client relationship has been established. The information on this website is designed for general use only. The information presented on this site should not be construed as formal legal advice or the formation of a lawyer/client relationship.